Balancing motherhood and your professional life can be very tricky, especially when you’re a mother, let alone a celebrity mother. But the joys of motherhood make up for all the heartache. 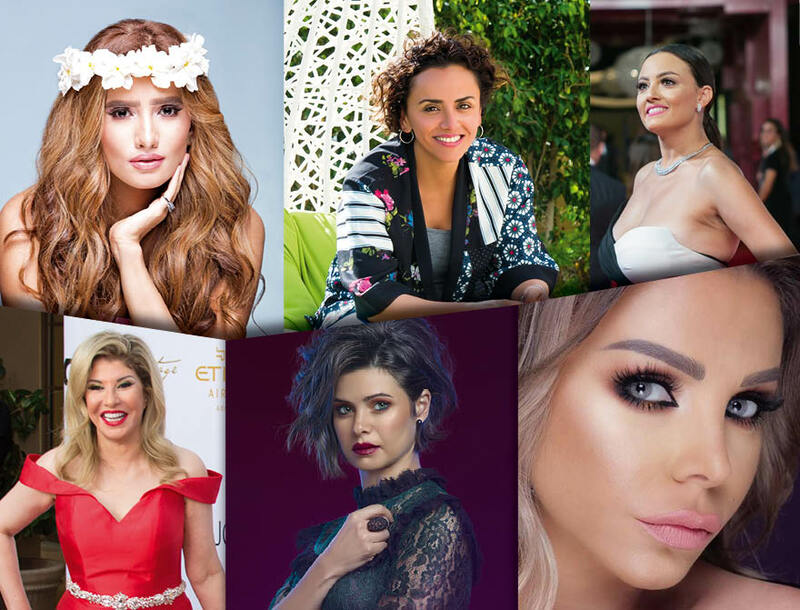 eniGma’s Mohamed Hesham caught up with a few star mums to find out how they view themselves as mothers, and to gain some insight for all the mums out there trying to achieve that perfect balance. Keep smiling and everything will fall into place. “The situation is very difficult, because work hours are always long and undefined. There are no fixed time frames. In trying to achieve a balance between working and being a mother, I sacrifice so much of my energy. For example, I get home whenever, I am tired but I don’t sleep and stay awake to spend time with my kids. I sleep during commuting time instead. Motherhood has completely changed my life. I used to travel all the time and go skydiving, but now I’m such a coward. However, now I’m able to control my temper, so that I don’t lose it in front of the kids.” – Zeina. “I try to set my priorities straight, whether they are personal or professional. If something is on top of my to-do list, then it gets done first, and I postpone the other things for days or even weeks. You can’t do everything all at once! First thing’s first… Just stay cool and enjoy the ride.” – Ola Roshdy. “Being a mother and an actress is like leading a double life; one minute you are in your dirty shirt with your toddler’s pasta sauce on it, and the next minute you are in a designer dress, smiling on a red carpet pretending like the dirty shirt never happened! To be honest, it is practically impossible juggling between motherhood and acting if you don’t have a supportive spouse and family. It has taught me that there’s nothing more precious than time with my family. I had to let my social life go, and it’s totally worth it!” – Yosra El Lozy. “Motherhood has made me whole. It gave me a new dimension. Now, I understand a lot of emotions better and I feel them more. It is heaven on earth. It has made me wiser, calmer, more responsible, and it gave me a reason to be a child again and act silly and be happier.” –Razan El Moghrabi. “There’s no secret recipe for a working mum, but I think I do my best to balance my professional and personal lives. Being physically present isn’t all that matters; the children should know that I am with them all the time in spirit even when I’m not around. We should raise our children to know that mummies and daddies aren’t going to be there all the time. I also can never do any of it without my family’s help, and that’s one of the advantages of being an Middle Eastern woman.” –Bushra Rozza. “Motherhood is a 24 hour job, for a life time. There is no retirement, only benefits. It’s also the highest paid job on earth. It’s 24 hours of worry, hopes and expectations. But, the best reward is when my son smiles or laughs or says ‘Mama.’ That’s the most wonderful music to my ears, better than all the money in the world. My son is the love of my life. Now, I also have my step daughter’s son. He’s just like a grandson to me. He’s so precious and beautiful and has a heart of gold. He gives me tons of reasons to live and love.” –Hala Sarhan.